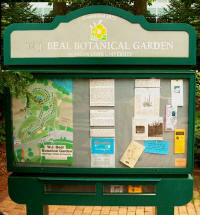 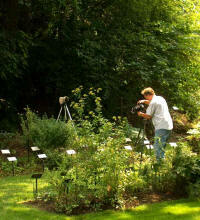 This beautiful display garden is an outdoor laboratory for the study and appreciation of plants. It is one of the principal centers of plant interest within the arboretum-like campus of Michigan State University. 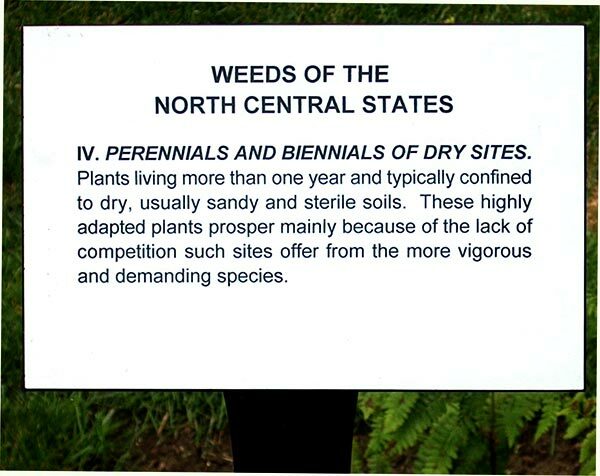 More than 5,000 different kinds of plants can be found on the five acre site. 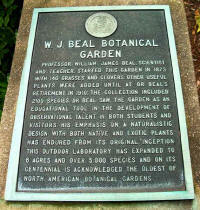 This garden, established in 1873 by Professor William James Beal, is the oldest continuously operated university botanical garden of its kind in the United States. 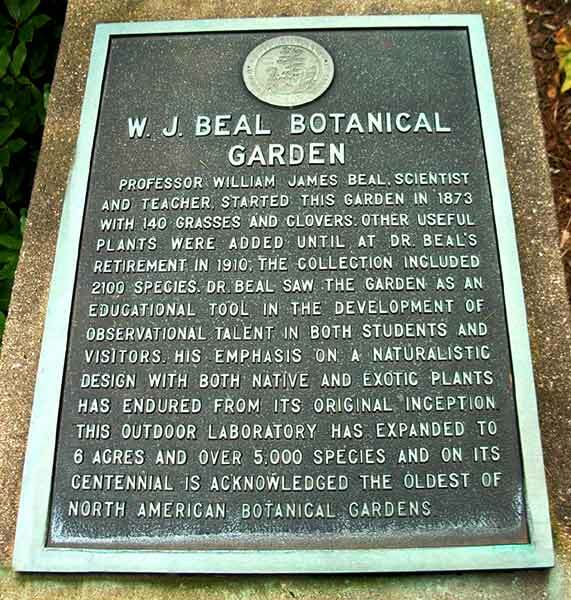 With consideration for Professor Beal's own words, "Students should themselves become discerning observers and investigators rather than mere reservoirs of previously accumulated knowledge"
This garden on the banks of the Red Cedar River is a jewel for the student of horticulture or botany. 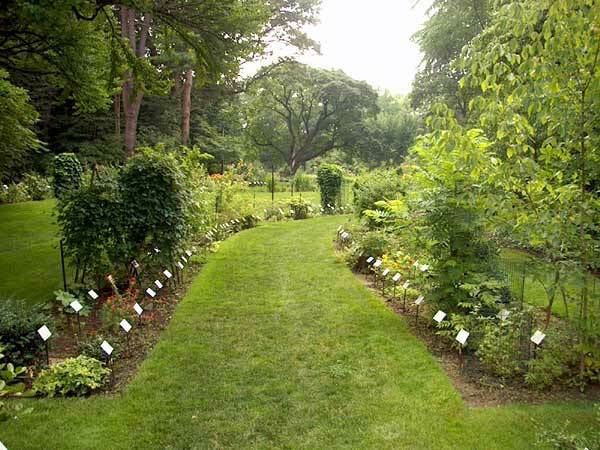 Although the setting is beautiful, the garden is really a collection of plants from all over the world organized by family or use. 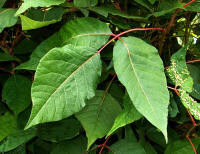 All plants used for production of dyes are gathered together as well as the members of the legume family. There is even a group of poisonous plants. Don't touch the poison ivy! 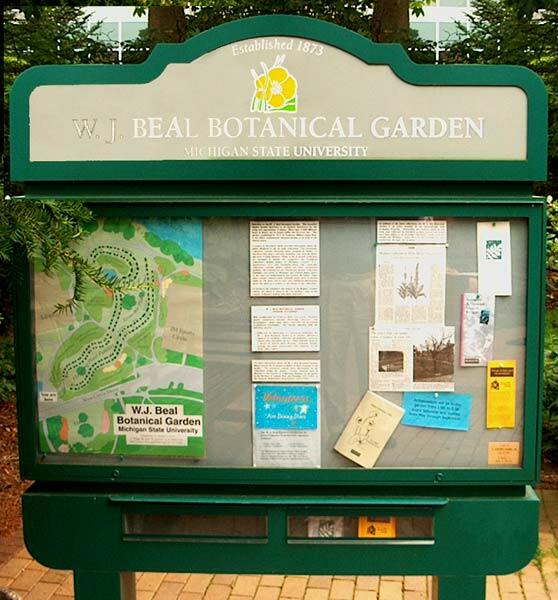 All the plants are neatly labeled and they include tropical and subtropical plants that they take into the greenhouse for the winter. 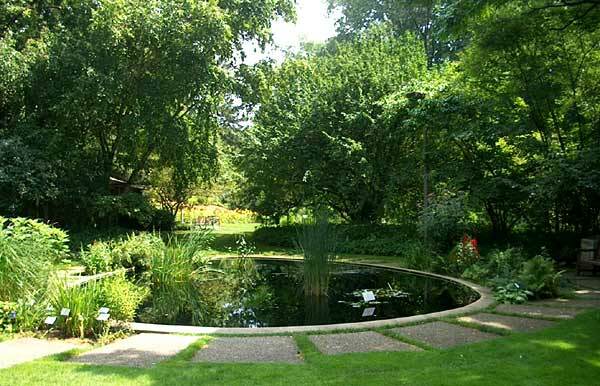 A nice place to study plants or just sit and read a book while ducks quack away nearby. Also on campus are the Horticultural Display Gardens which includes the magnificent 4-H Children's Garden. 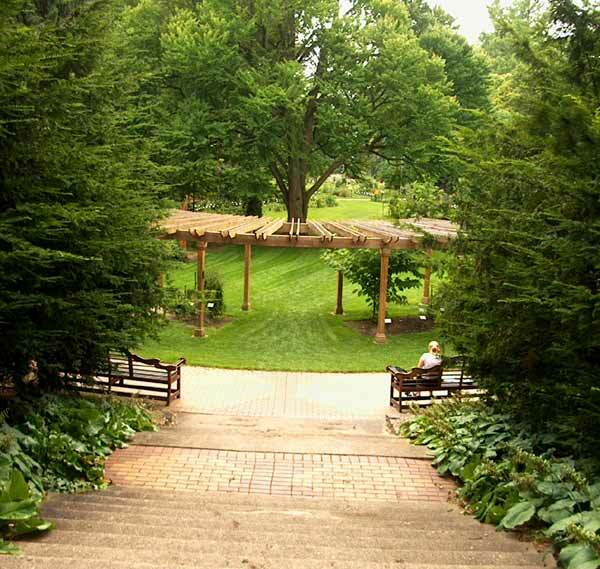 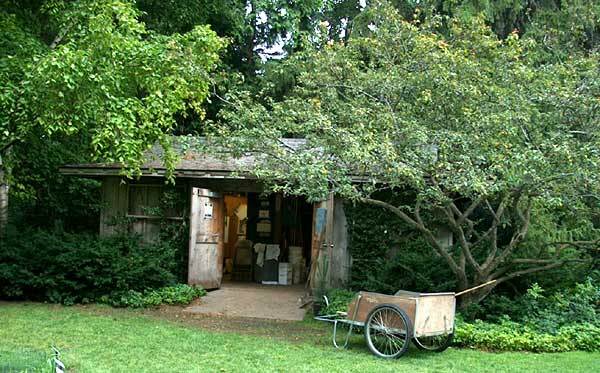 The Clarence Lewis Landscape Arboretum is well worth the visit too. 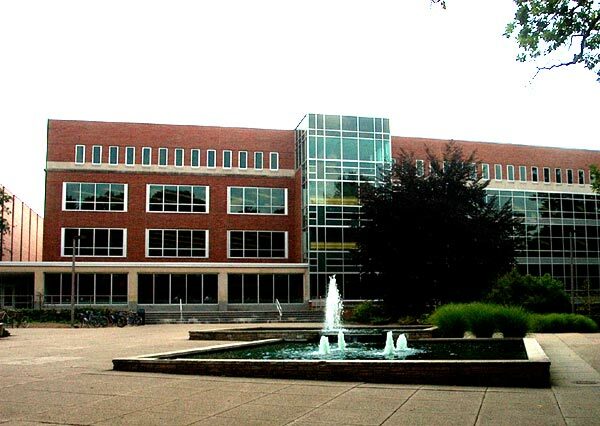 There is also a nice, small garden and ponds at the MSU Radiology building about a mile or two away.